MYHB is aimed at a high-level decoration to your home. The brand is named by the meaning of "Make Your Home Better". All MYHB bathroom faucet provided under a very high level standard quality inspection. Products are under a lifetime limited guarantee. Definitely the first choice to your home decor! 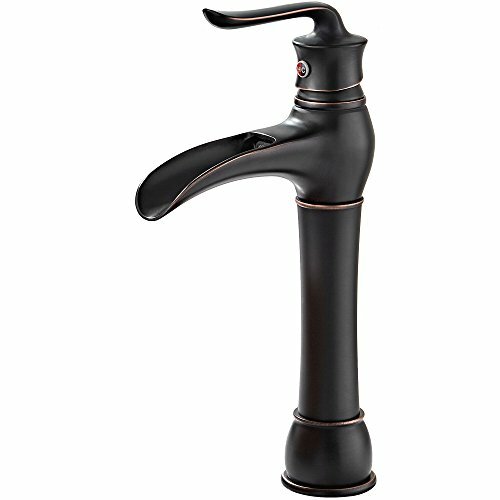 Add a sophisticated modern touch to your bathroom decor with the MYHB vessel faucet. The sleek, universal design features precise lines and a streamlined silhouette, making it ideal for the transitional and contemporary bathroom alike. Designed to replicate the shape of the spout, the slim single-lever handle enhances the visual impact of the minimalist body. This faucet is built with top-quality components, including a best-rated ceramic cartridge, for reliable drip-free use and lasting functionality. The high performance/low flow aerator provides a soft splash-free stream, and reduces water waste without compromising pressure. Pair this elegant faucet with any vessel or semi-recessed sink to create a striking centerpiece for your bathroom. Experience MYHB Quality with our vessel faucet, and outfit your bathroom in style. If you have any questions about this product by MYHB, contact us by completing and submitting the form below. If you are looking for a specif part number, please include it with your message.